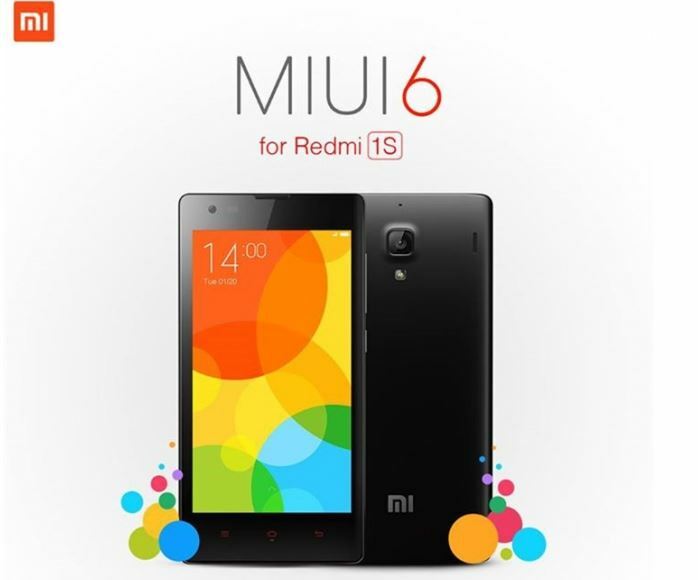 After so many months of wait and expectations from fans and users of Redmi 1s the MIUI 6 rollout has begun for the Redmi 1S users across the world including India. This update was first released for the Mi 4 which was way back last year. And recently the Redmi Note 4G got the update earlier this year. The update for the RedMi 1S will be available as an OTA update and if you cant wait or did not get the update yet you can always download the stable build version V6.6.1.0.KHCMICF from official MIUI forum and flash your device using the flashing guide provided there – MIUI 6 for Redmi 1S V6.6.1.0.KHCMICF update file link in MIUI forum. You can check your device if the update is available for you now by going to Settings -> about hone -> system updates or even by visiting the Update App which is available for Xiaomi devices. Make note that this is just the MIUI 6 updated version and not an Android Lollipop 5.0 update as the Redmi 1S still runs on android 4.4.4 Kitkat and there is no official news about the Lollipop update to Redmi 1s as of now. Contacts: Fixed amny errors like the search, dual buton UI display, FC error after checking SIM card storage, lagging etc. Messaging: Report junk messages, optimization of many features, fixing many errors like Vibrate for notification in MI band, deleting audio message, slideshow cannot be seen etc. Home screen: icons, wallpaper enlarged after update, locking apps. Camera: SD videos previews are stretched, HDR button displaying wrong. There are many fixes, updates and optimizations in Music, weather, settings, browser, recorder, calender, clock, security, Mi cloud made to Redmi 1S after the MIUI 6 update and you will be enjoying the features available in the Redmi 2 which got the update earlier. Most of the Errors which were being faced in Redmi 1S will be solved with this update.